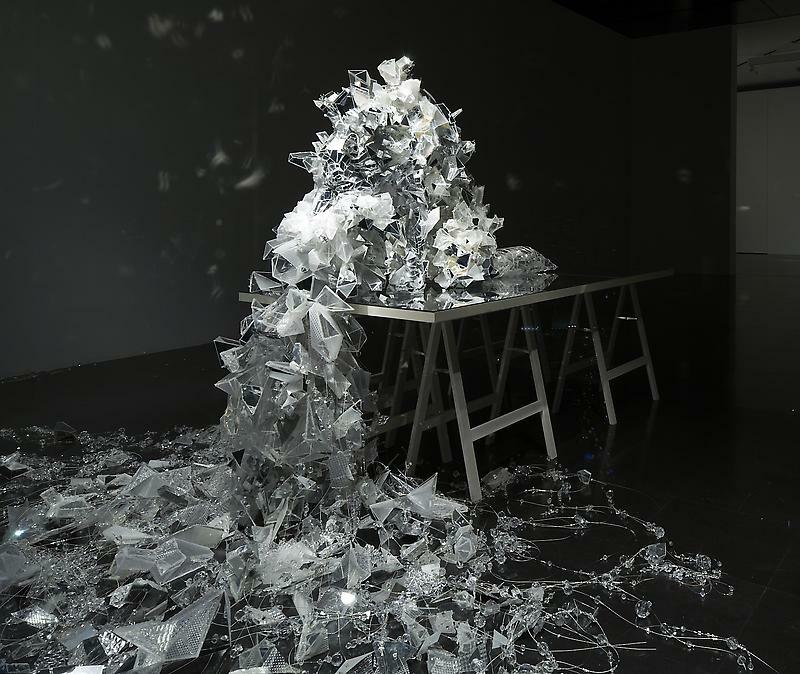 Lee Bul. Civitas Solis II, 2014. Polycarbonate sheet, acrylic mirror, LED lighting, electronic wiring, 330 x 3325 x 1850 cm as installed. 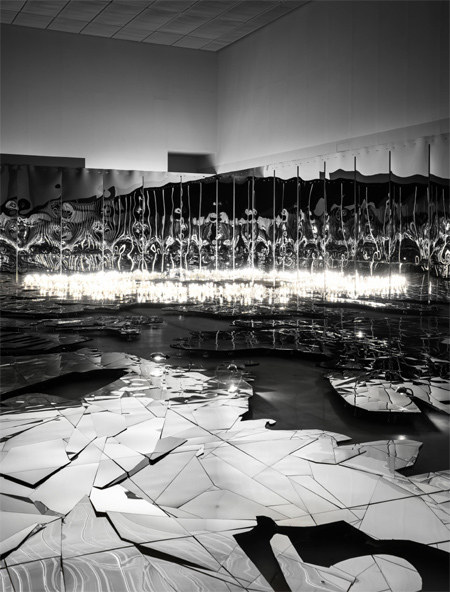 Lee Bul. Aubade III, 2014. Aluminum structure, polycarbonate sheet, metalized film, LED lighting, electronic wiring, stainless-steel and fog machine, dimensions variable. Lee Bul. The Secret Sharer, 2012. Stainless-steel frame, acrylic, urethane foam, PVC panel, PVC sheet, PET, glass and acrylic, beads, dimensions variable. 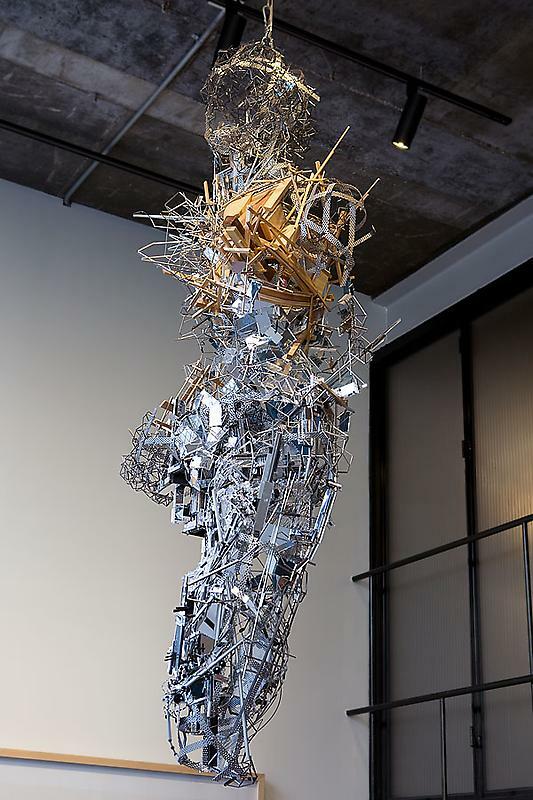 Lee Bul. Infinite Starburst of Your Cold Dark Eyes, 2009. 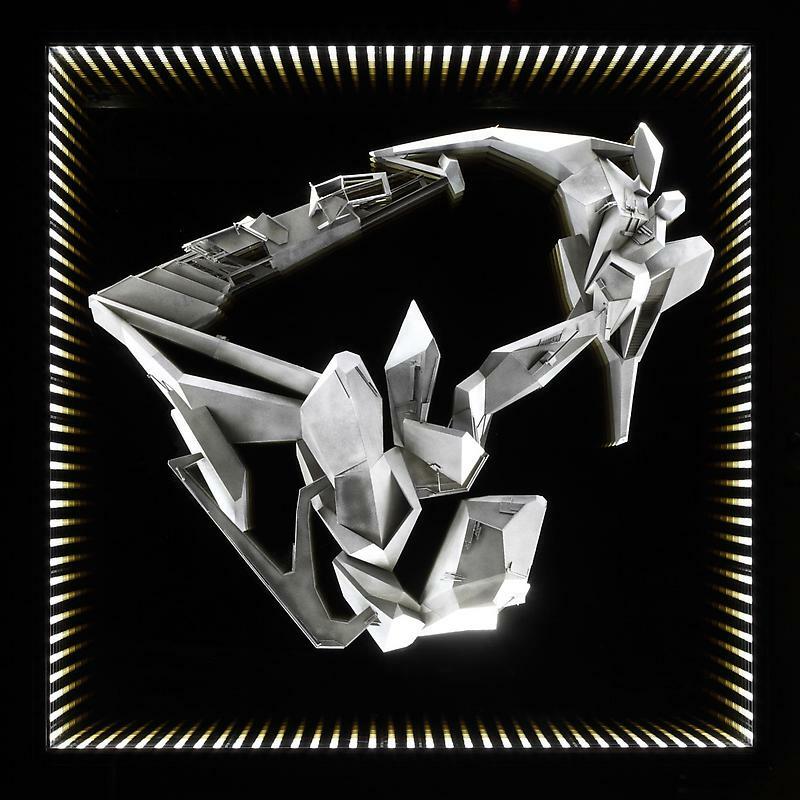 Stainless steel, mirror, aluminum, copper, crystal, wood, nickel-chrome wire, plastic, acrylic, 192.5 x 82 x 54 cm. Lee Bul. A Fragmentary Anatomy of Every Setting Sun, 2010. Polyurethane, acrylic paint, LED lighting, glass, two-way mirror, steel casing, 240 x 240 x 25 cm. Lee Bul. 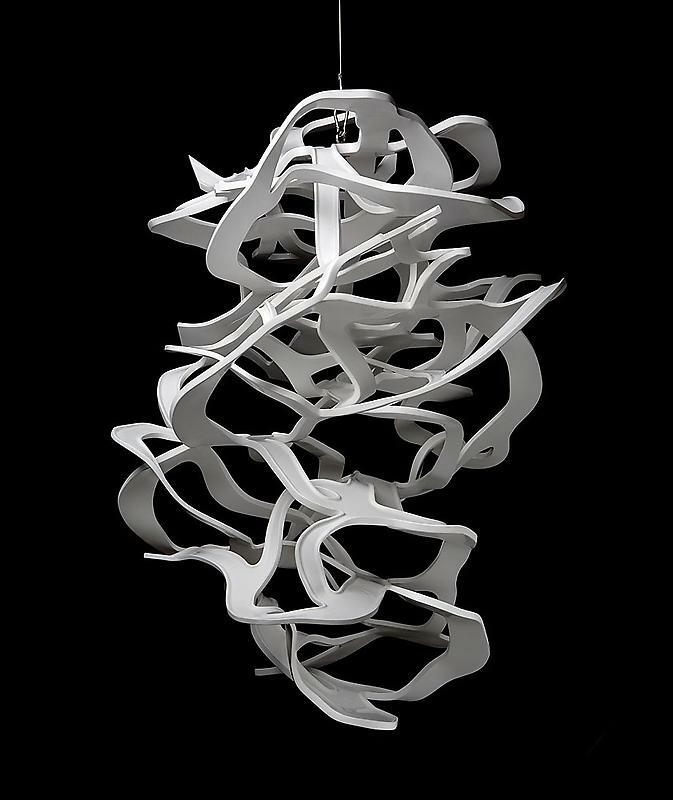 Untitled (After Bruno Taut series), 2008. 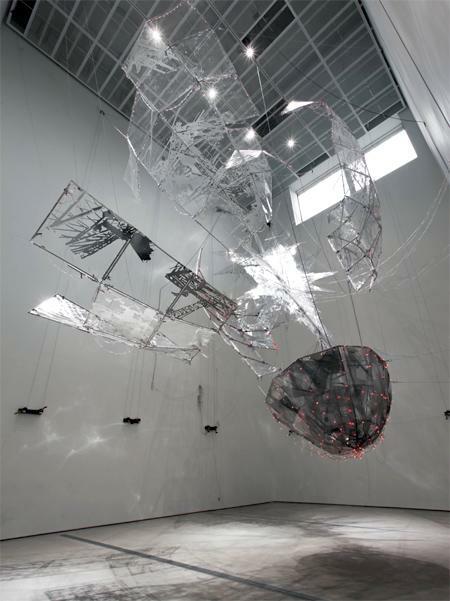 Crystal, glass and acrylic beads on stainless-steel armature, aluminum and copper mesh, PVC, steel and aluminum chains, 135 x 140 x 90 cm. Lee Bul. Untitled (“white highway”), 2008. Hand-cut polyurethane, urethane paint, 108 x 90 x 117 cm. 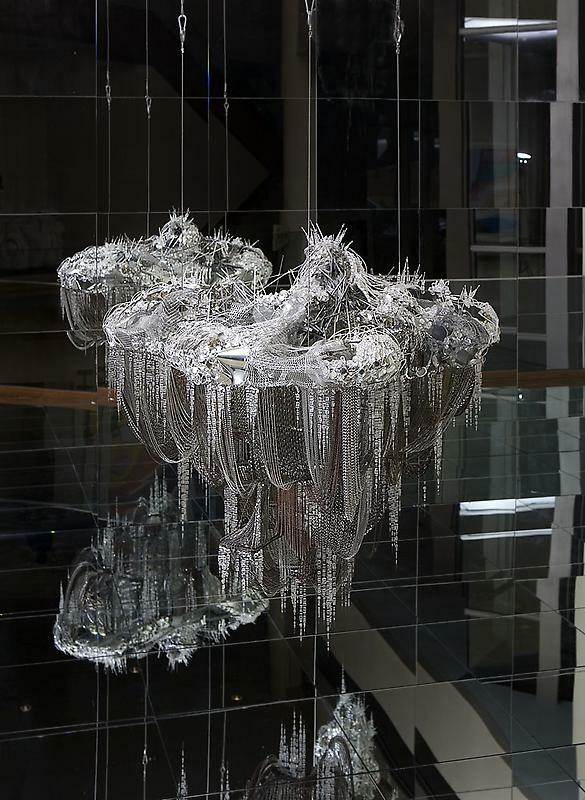 Lee Bul. Untitled ("Infinity" series), 2008. 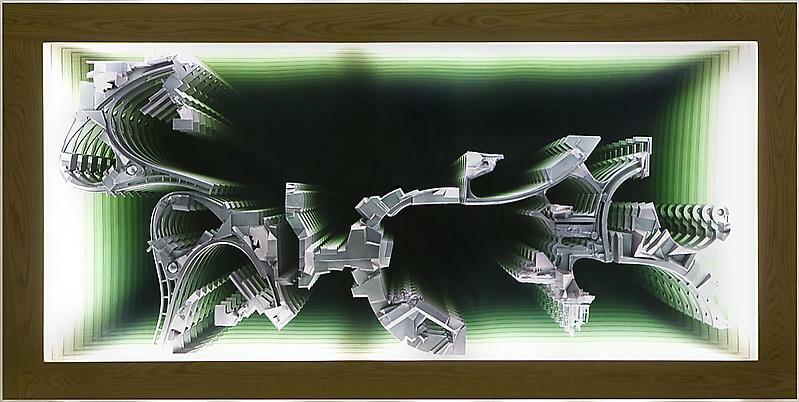 Cast polyurethane, paint, two-way mirror, fluorescent lamp, wood frame, 120 x 240 x 13 cm.